Rising super lightweight Mario Barrios of San Antonio, Texas continues his undefeated run after he stopped Richard Zamora of San Luis Potosi, Mexico in the 4th round on the undercard of the Gervonta Davis vs Hugo Ruiz headliner at the Dignity Health Sports Park in Carson, CA Saturday night (Sunday in Manila). 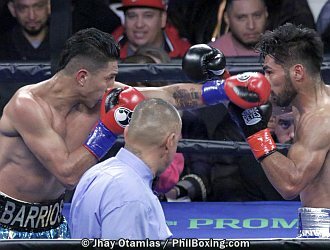 Barrios dominated Zamora throughout and Referee Ray Corona halted the contest in the 4th round to avoid Zamora from getting further punishment. 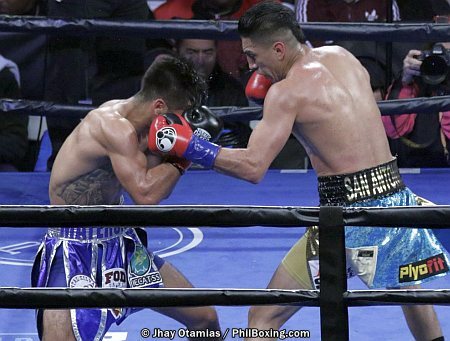 Barrios now upped his record to 23 wins with 15 knockouts while Zamora dropped to 19-3-0, 12KOs.